ICL is a factory authorized representative, service, parts and calibration facility. We stock all parts for all current ThermoProbe models and can repair and re-calibrate (with new certificate) all models quickly, professionally and at competitive rates. 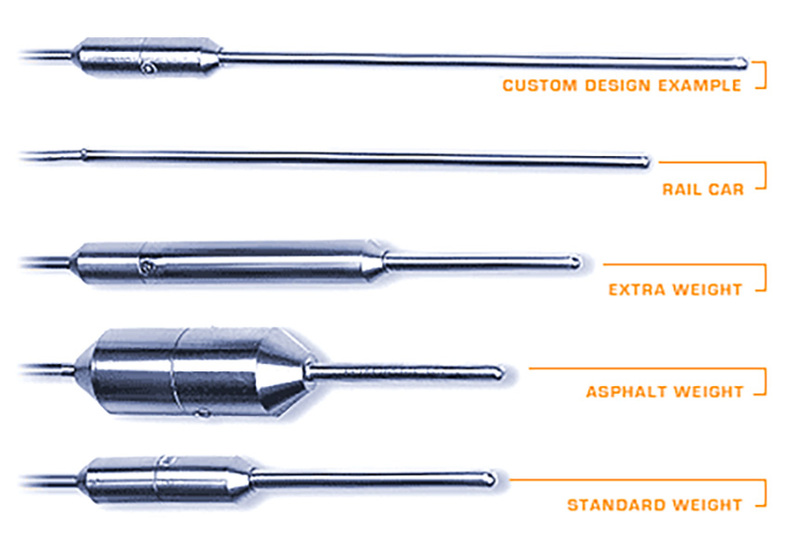 We have “loaner” ThermoProbes available for emergency situations. Call us by 4:00 pm Eastern time and you’ll have a loaner the next morning! There is no charge for the “loaner” service, except for shipping. Just send us back the “loaner” when you get your repaired ThermoProbe back from us. Some commonly needed “user-replaceable” probe & cable assemblies: Please be sure to refer to our instructions for changing probe & cable assemblies and calibration of your ThermoProbe! 50 foot (15m) length, marked at 5 foot increments with brass ferrules. 75 foot (23m) length, marked at 5 foot increments with brass ferrules. 110 foot (33m) length, marked at 5 foot increments with brass ferrules.